The average conversion rate—the rate at which visitors convert into customers—across the web is only 2%. That means it’s likely that 98% of visitors to your website won’t end up converting into customers. What’s the solution? A/B testing. A/B testing is the simple idea of showing several different versions of a web page to live traffic, and then measuring the effect each version has on visitors. Marketers and web professionals will become obsolete if they don’t embrace a data-driven approach to decision making. This book shows you how, no matter your technical expertise. "Dan and Pete are changing the way business is done and decisions are made. By pulling together concrete examples of how A/B testing has made an impact, they are inspiring a new generation of companies to make thoughtful, data-driven decisions. 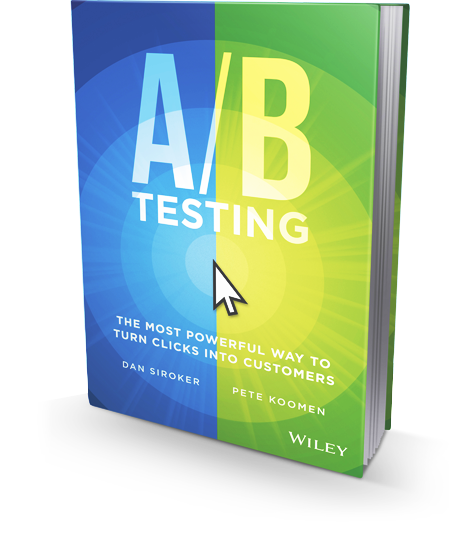 Their new book is smart, valuable and proves just how indispensable A/B testing is today." — MARISSA MAYER, CEO of Yahoo! "A practical and readable guide to get the most out of your online marketing tests. Get it before your competitors do!" "Here's the secret to magnificent marketing success: 1. create a hypothesis. 2. Test it. 3. Be less wrong! In our immensely complex business world, if your organization is not structured to be less wrong every day, your failure is guaranteed. ready to be less wrong but don’t know how? let Dan and Pete teach you!" "Savvy marketers have long known that A/B testing is great way to optimize marketing and generate more revenue. But for too long, it has been considered too hard and complicated for most marketers to use. A/B Testing shows marketers of all levels of experience why testing is important – and more importantly, it gives them step-by-step guidance for how to get started and get the best results. I’m giving copies of this to my entire team, and I recommend you do as well!" "A/B testing that is fast and simple is set to disrupt web measurement and analytics on a massive scale. Every company should be using A/B testing to continuously improve, and anyone who wants to lead the charge on this revolution within their organization will benefit from reading this book." "Much like the prescriptive writing guide, The Elements of Style by Strunk and White, A/B Testing is simple in its construction and design, but deceptively powerful and comprehensive in its message and breadth. This book is sure to be the foundational and prescriptive guide to optimization testing." "Finally, a book on A/B testing and digital optimization that I will eagerly hand out to my clients! It’s approachable, not overly technical, and is actually full of real-world examples of testing in action that provide the inspiration for testing that is so badly needed in most companies." Meet marketers around the world who are making A/B testing part of their daily process. Hear from industry experts and conversion optimization evangelists about why adopting a data-driven approach to marketing is changing the way business is done. Authors Dan Siroker and Pete Koomen are co-founders of Optimizely, the leading A/B testing platform used by more than 5,000 organizations across the world. 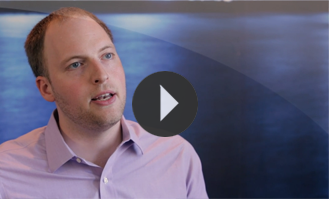 Dan Siroker is the co-founder and CEO of Optimizely. The inspiration for Optimizely came from Dan's experience as the Director of Analytics for the 2008 Obama Presidential campaign. Optimizely is the product Dan wishes he had back then to make it easy for anybody to do A/B testing. In 2012, Forbes named Dan one of the Top 30 under 30 in Technology. Dan was formerly a product manager for Google Chrome and AdWords. Pete Koomen is the co-founder and President of Optimizely. After earning	his M.S. in Computer Science from the University of Illinois at Urbana Champaign, Pete joined Google as a product manager where he helped launch and grow Google App Engine to more than 150,000 developers. In 2009, Pete teamed up with Dan to start their first company, CarrotSticks, an online math game for kids. Less than a year later, Pete and Dan created Optimizely during the YCombinator winter 2010 class. Pete runs product, engineering, and design at Optimizely.